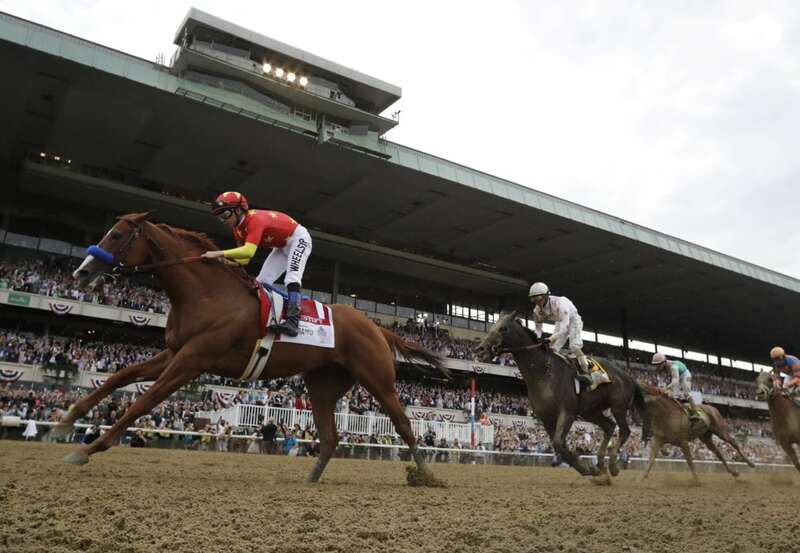 NEW YORK — Justify led all the way to win the Belmont Stakes by 1¾ lengths on Saturday and become horse racing’s 13th Triple Crown champion and second in four years. Sent off as the 4-5 favorite, Justify went to the lead out of the starting gate and led nine rivals around the track’s sweeping turns. He burnished his reputation by defeating nine rivals, the most faced by any Triple Crown champion. Bob Baffert became the second trainer to win the Triple Crown twice. He did so with American Pharoah in 2015, ending a 37-year drought. James “Sunny Jim” Fitzsimmons guided Gallant Fox in 1930 and Omaha in 1935. Justify achieved one of the sports’ toughest feats 45 years to the day that Secretariat won the Belmont by a record 31 lengths.